Samsung may no longer be trying to ban Apple's products from sale in Europe, but that won't stop it facing a fine from the EU. The European Union's competition chief Joaquin Almunia said it'll charge the Korean mobile maker soon in an antitrust patent case. "We will issue a statement of objections very soon," Almunia said. 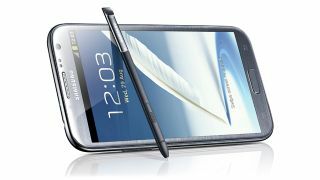 The body is currently investigating whether Samsung flouted competition rules by filing patent lawsuits against Apple. The Commission has been looking into Samsung's practices for over a year now. In August, Apple was awarded more then $1 billion in damages from Samsung for patent infringement. Apple then tried to have Samsung's devices banned from sale in the US, but that was unsuccessful. The two companies are still duelling it out, with patent disputes in more than 10 countries. And a lot is at stake, with the size of today's mobile market. While Samsung stopped trying to ban Apple's products in Europe, it is still trying to win compensation from the Cupertino company. When announcing it wouldn't try to ban Apple's devices, it said in a statement, "we believe it is better when companies compete fairly in the marketplace, rather than in court. In this spirit, Samsung has decided to withdraw our injunction requests against Apple on the basis of our standard essential patents pending in European courts, in the interest of protecting consumer choice."